Damn those who say you're as tone-deaf as a mummified wasp – you deserve to sing and be heard. 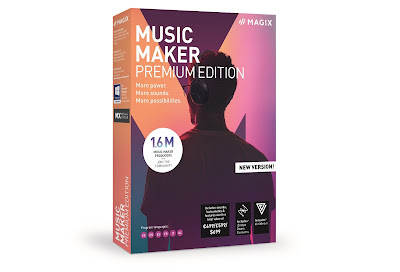 To that end, you need a portable system that will not only amplify your gorgeous voice, but also provide a sweet backing track; whether your neighbours like it or not. We review the Groov-e Karaoke Boombox. Groov-e is a company that proove (or 'proov-e') that old school tech is still very much in demand. We've reviewed cassette players from them, as well as a vinyl spinner. Now they've brought us slap bang into the early 90s with a CD playing Karaoke machine. But wait, because they've also added a dose of modern gadgetry by including Bluetooth connectivity. Those guys, eh? Right, this thing works just as you might expect – albeit in a much smaller package than we were expecting. 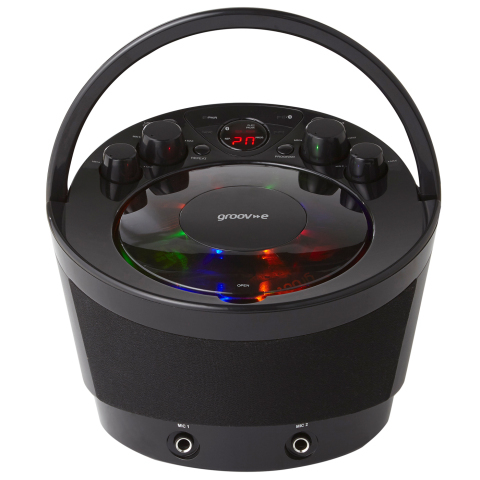 The Groov-e Karaoke Boombox is a very grab-friendly music system, with the CD bay located right on top by the pop up carry handle and the tactile knobs. Ha... 'knobs'. It comes in shiny black or pink, with the one we were sent being as dark as Batman's arse. It's pretty light, too. The system can play the older CD-G disks, which are music CDs with lyric tracks on them. This means you can hook the Groov-e Karaoke Boombox up to your TV (composite video – not HDMI, as you might have expected) and sing trough either or both of the included microphones. The built in speaker will do a fairly decent job of making you heard, despite the small size. 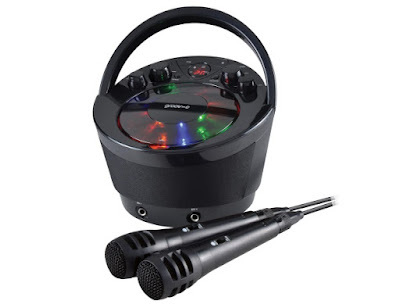 Basically, this is a room-filling karaoke system, not a stadium-filling one. We like the blinking lights under the CD lid, as well as the ability to power the thing from batteries, and not just a plug. But the best thing has to be the Bluetooth, as that is how it becomes a really fun piece of (very modern) kit... and it's all thanks to your smartphone. Obviously, not many of us will possess those CD-G disks, and in fact we'd never heard of them. But what we do have is YouTube on our phones, and YouTube is packed with famous songs with the vocals dubbed out and the lyrics put on screen. 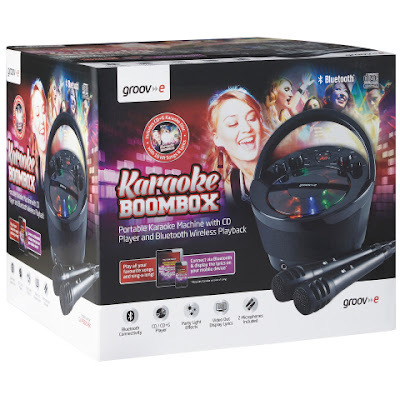 Connect to the Groov-e Karaoke Boombox with Bluetooth, then cast from your phone to your smart TV, Apple TV, Roku or Chromecast to see the lyrics. Sing through the boombox and you have a very good home wireless Karaoke setup. If you can't cast, just prop up your phone to see the words, or make up your own, we don't care. So what we thought would be a pretty outdated and novelty item, is actually really good at channelling new media. You know, so you can sing and that. Perfect for those awkward Christmas parties once the vino has been flowing. For good long while, mind.